But will it be a viable threat to the Tesla Model 3? Electric cars have been a recurring theme at this year’s Shanghai Auto Show, with the reveal of some imaginatively-named EVs such as the Audi Sportback E-Tron and Volkswagen I.D. Crozz Crossover. Joining the EV bandwagon is Volvo, and while the Swedish automaker didn’t have any concept EVs to present at the show, it has announced plans to build its first all-electric car in China in the not-too-distant future. The unnamed EV will be based on Volvo’s Compact Modular Architecture and will go on sale in 2019, where it will be exported globally from China. 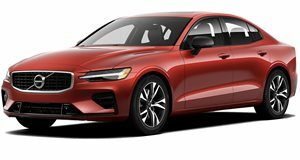 Volvo is serious about entering the EV market, with ambitious plans to sell one million electrified cars by 2025, including fully-electric cars and hybrids. Other details are scarce for now, but previous reports have suggested Volvo’s first fully-electric car will be fitted with batteries up to 100 kWh, electric motors providing outputs from 100kW (134 hp) to 450 kW (603 hp), an electric range of around 250 miles, and a competitive base price between $35,000 and $40,000. Volvo is hoping it will be a viable threat to Tesla, but the timing puts it at a disadvantage. By the time Volvo’s first EV rolls out in 2019, the Tesla Model 3 would have already been on sale for a year. Volvo has its work cut out, to say the least.